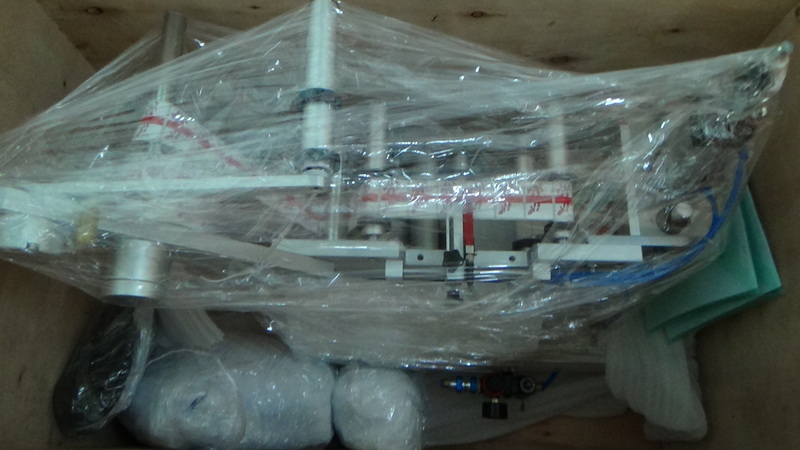 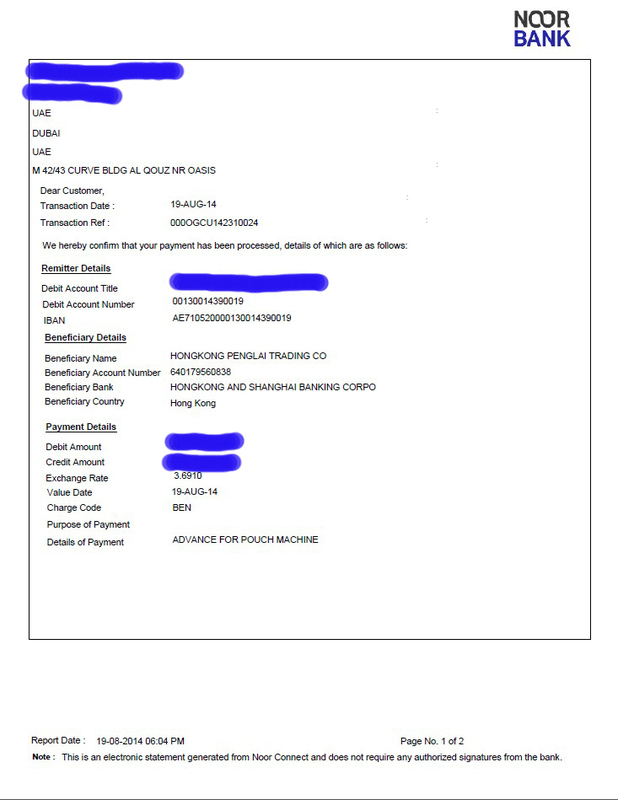 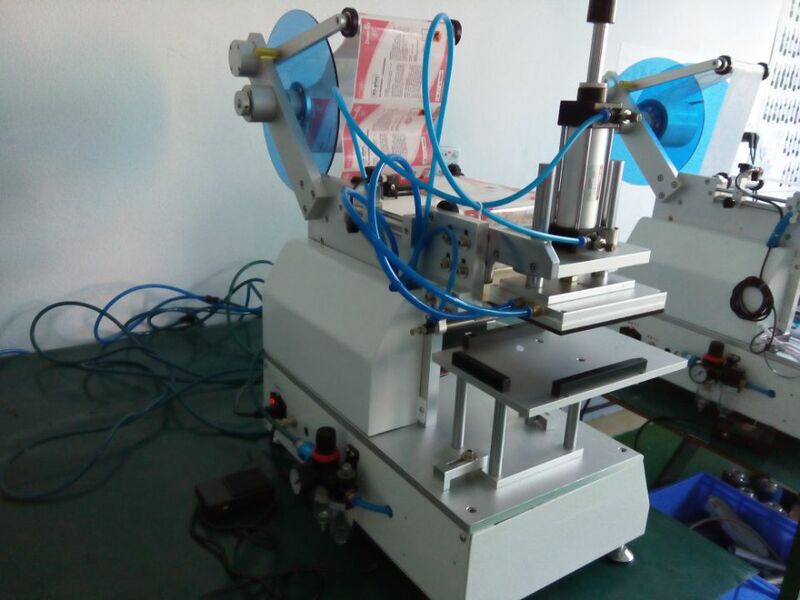 got the positive feedback after we sent our customer the videos&pictures on machines and bags labeling samples . 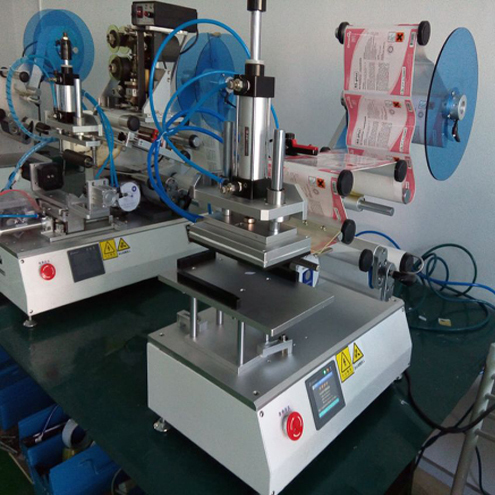 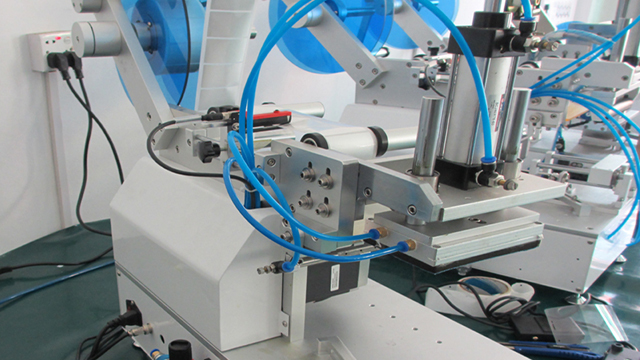 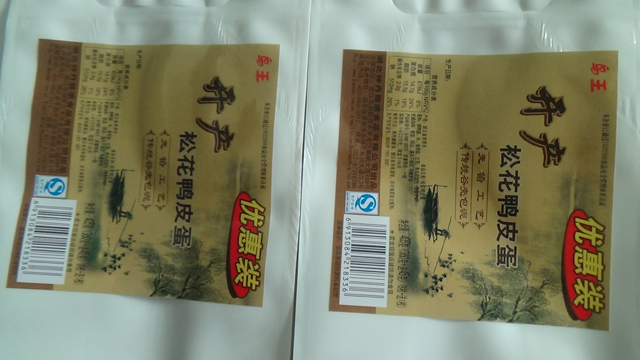 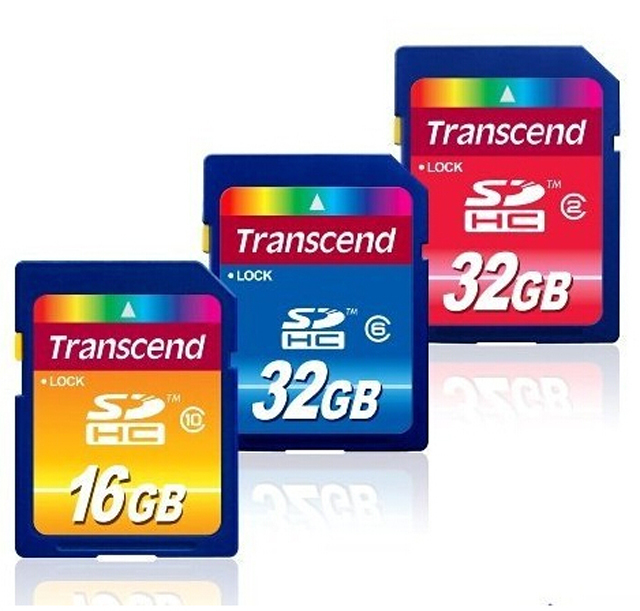 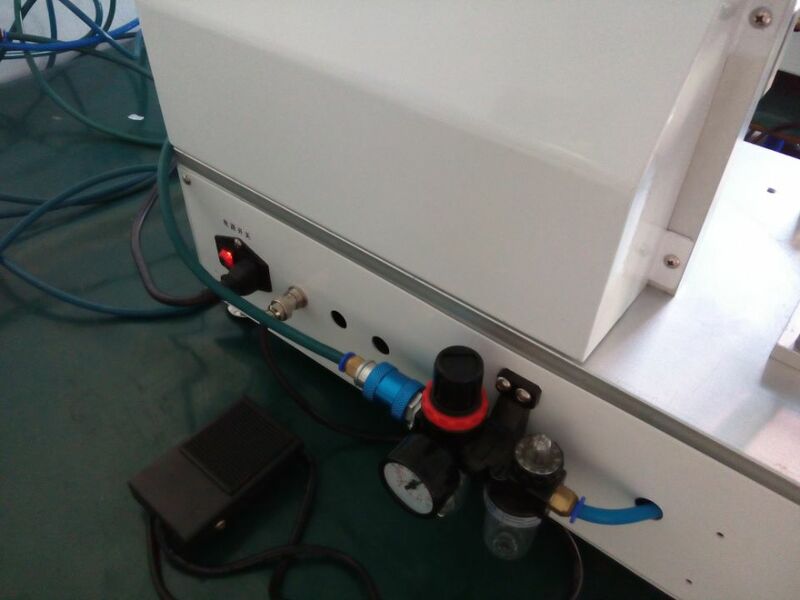 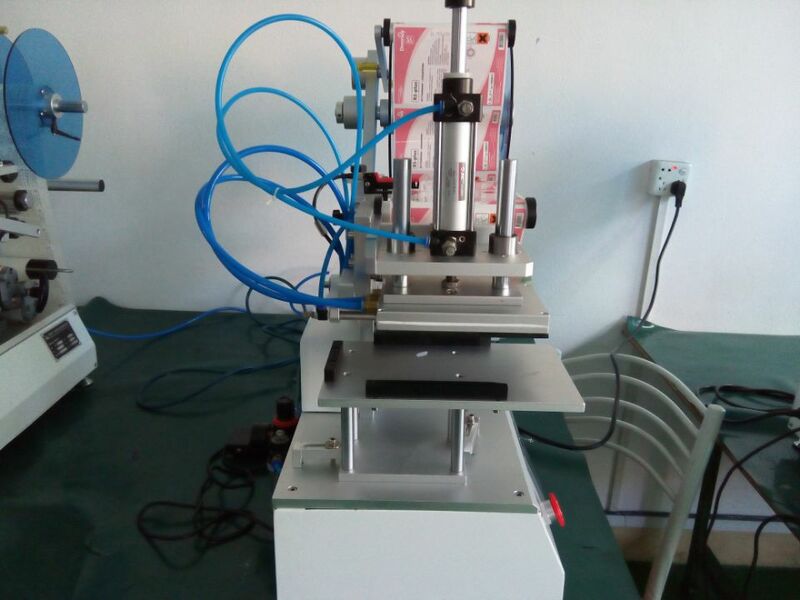 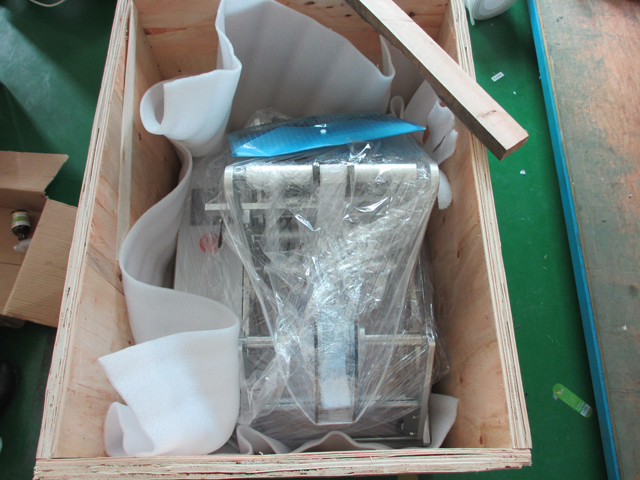 Application of suction stickers labeling method to achieve the various parts of the plane on the labeling, such as cosmetics flat bottles, boxes, plastic cover labeling and so on. 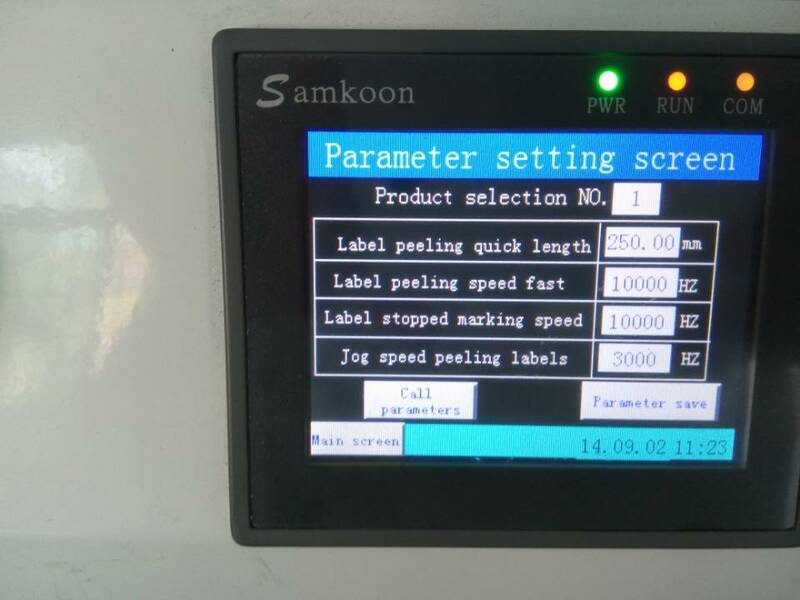 Change overlying scale mechanism, suitable for uneven surface labeling, such as concave flat, circular surface labeling and so on. 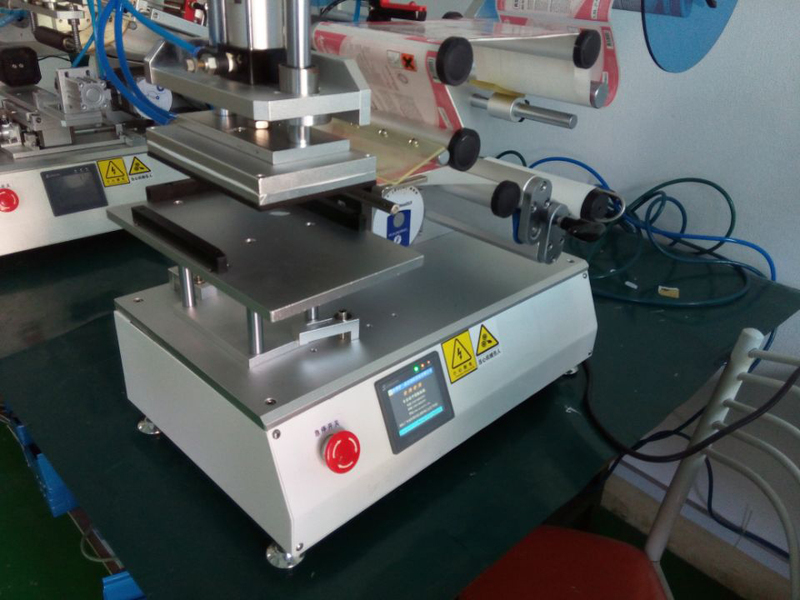 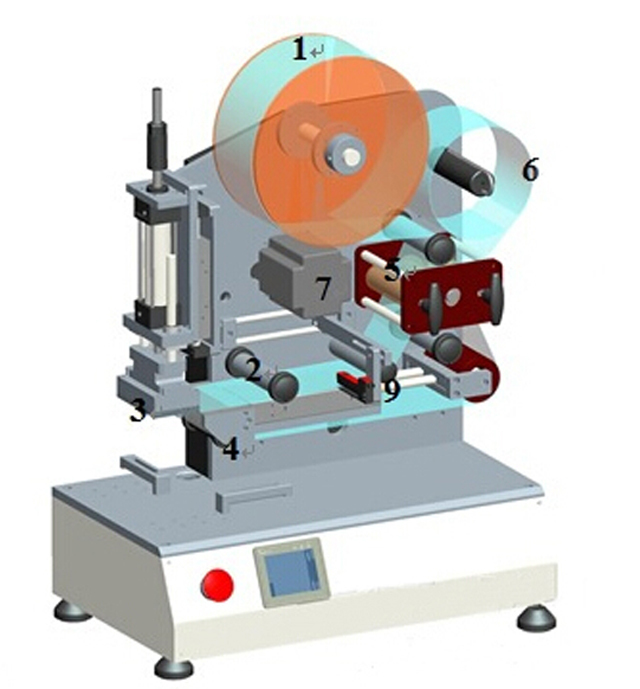 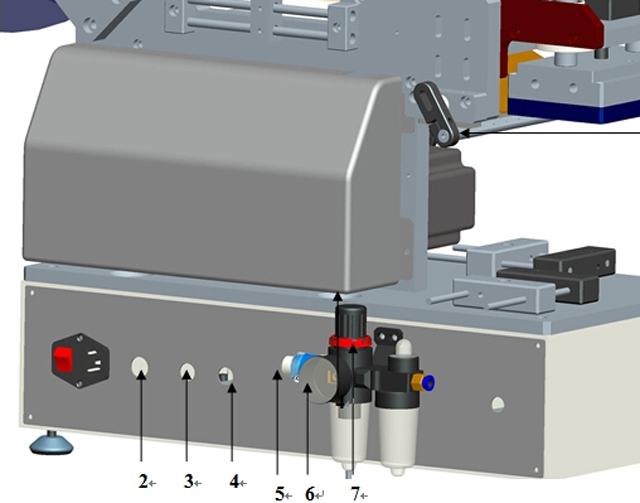 Optional ribbon printer or inkjet printer, print production date on the label and batch number, to achieve a code – Labeling Integration. 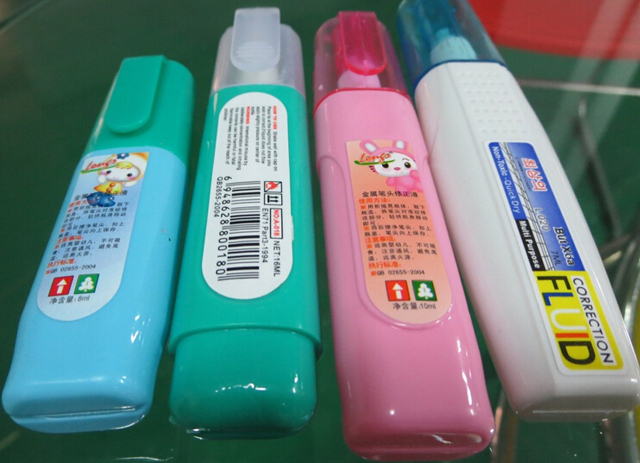 Application: Shampoo flat bottle labeling, packaging labeling, bottle caps, plastic shell labeling and so on. 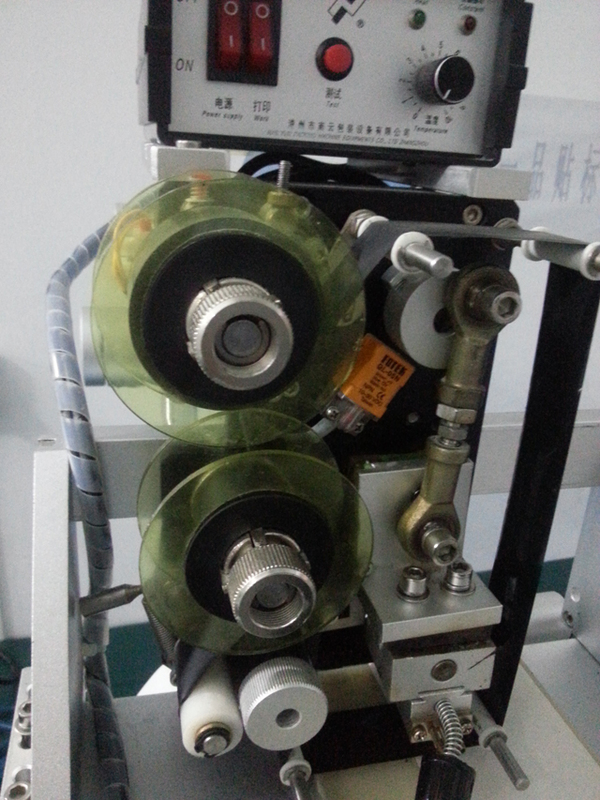 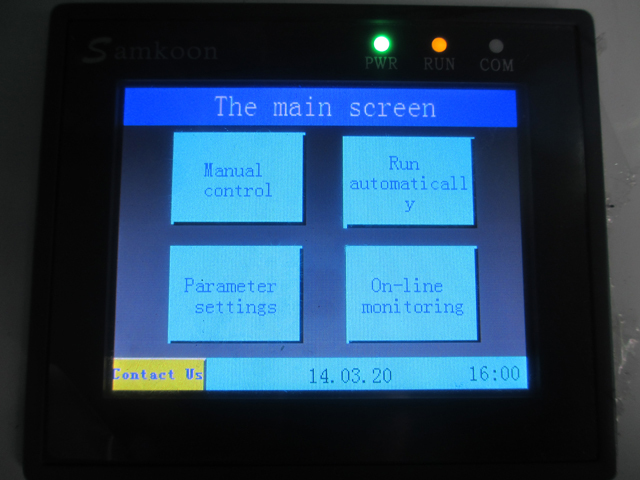 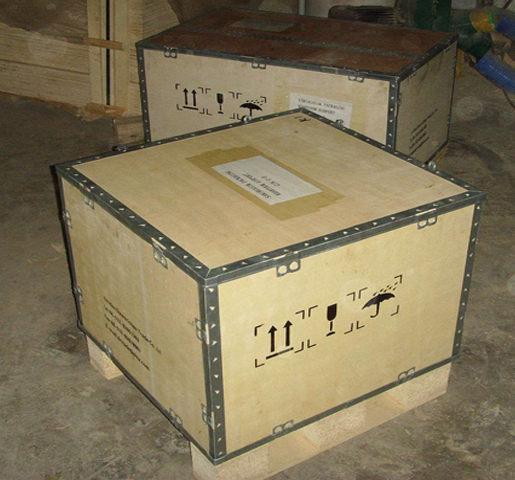 * Core Working principle: The sensor detects the product in place or send product foot position signal, sucking down labeling tip labels and covered standard, then returned the next label in situ adsorption, wait for the next signal labeling, a label the attached action is completed. 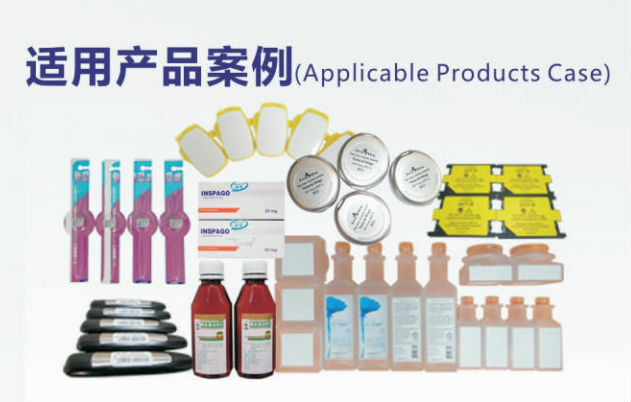 * Procedure: put the product -> judgment in place (device detection control or manual control) -> Labeling and covered standard (device automatically) ->take out the labeling products. 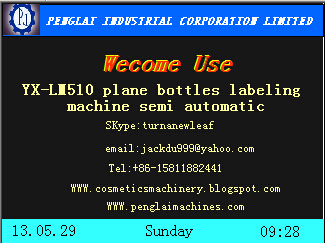 we can confirm everything be okay for the labeling machine from the aspect of the customers .